It was February 2013. 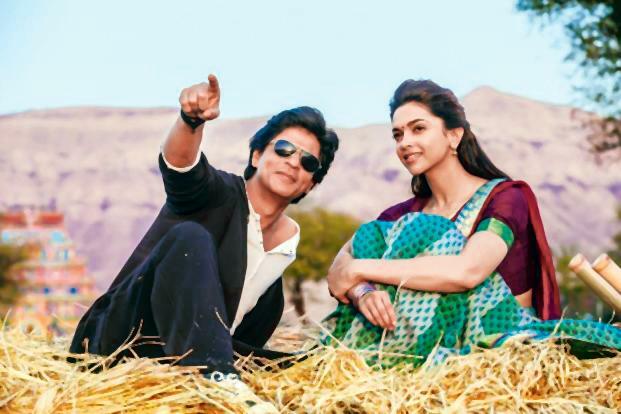 SRK was shooting for Chennai Express at Wai , staying at The Ravine. It was the day just after he had shot for that tea commercial where he promised that the actress’s name will always come before his in the titles of his films. Incidentally my husband and I landed there for a weekend . We had no idea that the unit was staying there or that there was any shooting going on. Both my husband and I are die hard SRK admirers, so you can imagine our extreme delight when we found out that THE SRK was staying at the same hotel. Forgetting our romantic weekend, the sole aim of our stay became, trying to meet him. At least mine. My poor husband had no option but to oblige to my whims. We inquired around and one of the help staff of the hotel informed us that generally SRK left around 3 pm for his shoot. We tipped the guy to call us when he was ready to leave. And call us he did. His car was waiting at the back entrance of the hotel. There were around 8 to 10 other people already gathered. SRK came out of his room . Blue v neck t-shirt and jeans. Oh God. We screamed. He smiled and waved at us. All I wanted to do was go and hug him. I wanted to go and ask for a photograph. But something held me back. I felt like giving him some space. It was not a fan meet and greet or anything. It was a working day for him. He was going for his work, and somehow I did not feel like encroaching on his personal space. So it took all my self restraint to not be a part of the group who were pushing themselves on him. However tired he looked, he was still graciously obliging the people for a photo. He was smiling and hugging people throughout. And I was standing there 5 feet away from you, no crowds, no security, nothing to hold me back, but just the sense of giving you some space. Just looking at you. He got into the car, ready to leave. I thought it was over, so I turned and started walking away. My husband followed me. I was in my own daze. My mind conjuring up the most romantic scenarios with him. I was walking on clouds, just satisfied to have seen him. I suddenly remembered something, and I stopped and turned, to tell something to my husband, who I thought was just behind me. I looked up and I realized I am looking into the most beautiful brown eyes. My mind refused to start working. I just looked at the person, numb and said “no issues” . And then the person left. Before I could come to my senses and grab him(never to let go), the brown eyes and the strong hands left. It was none other than Shah Rukh Khan. Apparently he had forgotten to meet somebody in the outdoor banquet area of the hotel. So he had gotten down from his car and started walking just behind me. And when I stopped suddenly, he had bumped into me. Before I could make any sense of what happened, he had left. Left me with all the wonder of the world. I could still feel the hold of his hands on my shoulders. Just like that, my entire was universe up side down. I was left staring at his back, eyes wide open in disbelief. That was the second time I was seeing him in person. Before this I had seen him during the Swades shoot in Pune. I have interacted with him in an online forum where he has answered 3 of my questions. He has even re-tweeted one of my fan art comic strips. And then last month, I actually met him, shook hands with him, hugged him and he kissed me hand. This is probably more than most of the fans who dream of meeting SRK at least once. But I am still left wanting for more. Dear Mr Khan, why do you do this to us? What is it about you that we just can’t seem to get over you? Will there ever be a point where you will be “enough” for us? I really hope not. You have always kept the fire in me alive. The love that I feel for you has kept me young (complete with the butterflies in my stomach). Thank you for all of that, and so much more.